Tonya E. Wood is a PACE Registered Paralegal, American Alliance Certified Paralegal and Florida Registered Paralegal with the Law Firm of Donahoo & McMenamy, P.A. Tonya primary works in the areas of probate, guardianship, estate planning, tax and real estate and has been working in the legal field for over 20 years. She earned a bachelor’s degree from the University of South Florida, and she is a dedicated member of The Junior League of Jacksonville, an organization committed to improving the community through the action and leadership of trained volunteers. 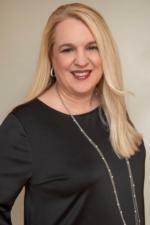 Barbara is currently employed at the law firm of Ford, Miller & Wainer, P.A., in Jacksonville Beach where she works as a litigation paralegal for three attorneys. She has been in the legal field for over 25 years both in Portland, Maine, and Jacksonville, Florida area. Barbara’s experience includes complex commercial litigation, construction litigation, medical and legal malpractice litigation, personal injury claims, criminal defense, insurance defense and appellate work in multiple state and federal court systems. 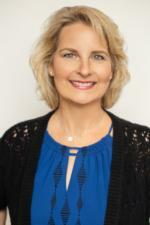 Barbara joined PAF’s First Coast Chapter in 2013 and has served as Secretary, Director-At-Large for Marketing and Charity and is presently serving as Second Vice President. Darcy Kochanowsky has been a member of PAF since 2009, and previously served on the Board of the Big Bend Chapter in Tallahassee. 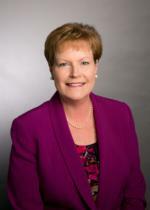 Darcy is a Florida Registered Paralegal for Swanson Law Center, P.A. in Gainesville Florida where she works in the field of Family Law. She has been with her current firm for 18 years. 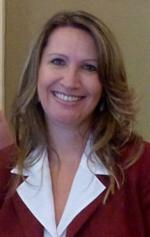 Laura has been a member of the Paralegal Association of Florida since 2011. She has served on the board of the First Coast Chapter since 2012, initially as Director at Large and currently as Treasurer. 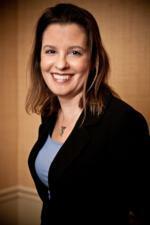 Laura has been in the legal field for over 25 years is experienced in personal injury litigation. She is currently a trial paralegal with Coker Law. Erica Cruzat is a Florida Registered Paralegal and has been a member of the Paralegal Association of Florida – First Coast Chapter since 2011. She has been a criminal defense paralegal with the Bedell Law Firm since 2003. 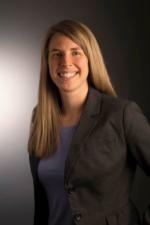 Becky Salsbury is a Florida Registered Paralegal and has been a member of PAF-FCC since 2011. Becky has worked in the personal injury field for the past 30 years. Currently working at Spohrer & Dodd as paralegal to Steve Browning, working on complex litigation cases and trials involving dangerous or defective products, wrongful death and automobile and trucking cases.